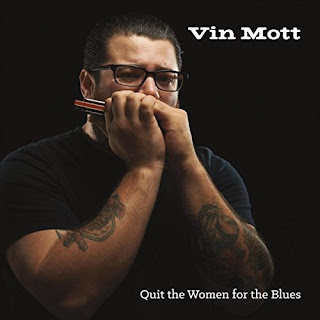 I just had the opportunity to review the most recent release, Quit The Women For The Blues, by Vin Mott and I really like it. 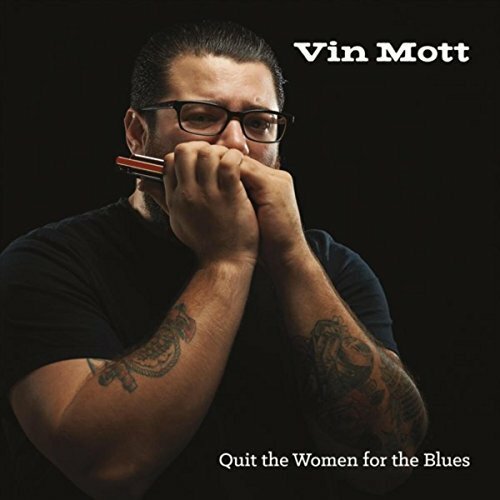 Opening with the title track, Quit The Women For The Blues, Vin Mott shows his appreciation for the classic blues with strong vocals and crisp harp riffs, with an excellent bass line by Dean Shot, Andrei Koribanics on drums, and electrifying guitar lines by Sean Ronan. On shuffle track, Make Up Your Mind, the band really hits a groove and Mott shows why he's known as one of the best harp players in the area with additional backing on organ by Phil Silverberg and solid lead lines from Ronan. On rocker, Don't Make Me Laugh, Ronan sets the tone with simple rock n roll guitar rhythm as well an classic lead guitar runs and Mott takes it deep with a glowing harp solo. Very nice. Laying on the slide, Ronan gets the Elmore James riff ringing on I'm A Filthy Man and Mott's vocals are muted and echoed. 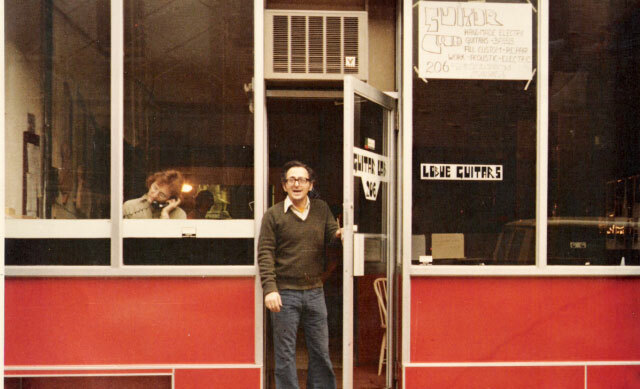 His harp riffs are clean and clear giving the track that perfect Chicago style. One of my favorite tracks on the release is The Factory with it's Otis Rush format and almost Bluesbreakers or Fleetwood Mac sound. Mott's vocals are pure, his harp playing rich and Ronan's guitar work inspired. Excellent! Freight Train gives any harp player a great opportunity to showcase and this is no exception. With it's Latin beat, I Wanna Get Ruff with You follows the Chicago formula breaking into a straight up instrumental shuffle with Mott and Ronan each taking their turn upfront. Very nice. 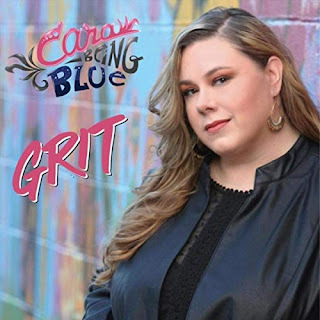 With it's Big Bill Broonzy feel Ol' Greasy Blues has a great feel with choice opportunities for Ronan and Mott to solo behind Motts solid vocals. 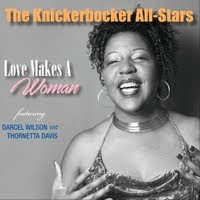 R&B style track, Living The Blues a another winner with Mott taking the lead on vocal and harp over mostly subdued organ and drums. Wrapping the release is Hott Mott's Theme. A classic harp format, Mott really let's it fly with a steamy harp solo end to end (with a strong solo by Ronan in the middle). This is a strong closer for a particularly solid release.